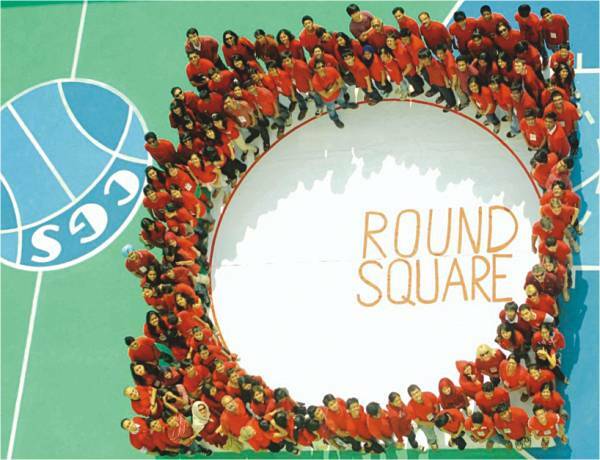 The Round Square Conference was an overwhelming experience for CGS students. Chittagong Grammar School (CGS) hosted an International Round Square Conference, which was organised entirely by the students of CGS. This is an international event that involves about 80 international schools and it allows students to travel all around the globe in order to visit other countries, and in the process get involved in community service and discover cultures along the way. CGS is the only Round Square School from Chittagong, Bangladesh. We have visited many countries and were thus drawn to negotiations and activities that are challenging to the recent world. This was our fourth conference involving the in-house conferences where we involved schools from all over Bangladesh to make them understand the concept and need of such conferences. These in-house conferences gained great prosperity and the one this year was followed by, for the first time, by an International conference. It was probably the biggest event in CGS's history. Schools from countries like India, Pakistan, Oman, Thailand and Germany were involved. Notable among these are the Daly College, Vivek High School, Scindia Kanya Vidyalaya and DAIS from India, Indian School from Oman Landheim Schondorf of Germany, Lyceum from Pakistan and Regent's School from Pattaya, Thailand. Bringing in international people requires a lot of hard work. We had to make sure that every little thing was perfect before we welcomed them in. Our school was renovated for the conference. groups comprised of the logistic team, media team, press team, website team, international student guides team, food team and many more. I was the head of the press team handling the newsletter, featuring the highlights of the day. Students of class 11, 12 and the alumni group participated in designing the conference. The theme for the conference was “Technology for a Sustainable World”. The students explored the theme “Earth, Wind, Water, Fire” as well. The students were made aware of sustainability. Ideas were shared concerning the use of technology to achieve a sustainable goal. The wonderful conference logo was chosen from various entries of the Annual International Art Competition that CGS structured beforehand. Yashmini Sodhani of Dhirubhai Ambani School India won the competition. It was a four-day conference. We, the steering committee member had been working day and night since the past four months trying to pull up this conference. We had to handle the arrival of guests, their registration and stay at Avenue hotel, control room service, plan schedule and so on. This was a great learning process for all of us students. To welcome the international delegates, we planned some traditional games that were held during the ice-breaking sessions. I must add that these games instantly brought all of us together. We all befriended many people in the opening ceremony. After the ice-breaking, we took them to the school auditorium where a cultural programme was held. Next, we had to get divided into teams. The names of the teams were given according to the names of tribal communities in Bangladesh. That way the guests got to know about the various indigenous cultures of our country. The next day began with Taimur Siddique's key-note presentation on paradoxes in the world economy and need of sustainability. Taimur Siddique is a key-note speaker from Australia who has devoted his life in creating awareness among the mass people, especially the students of the world. He has been involved with CGS conferences for a long time. After the presentation we all gathered on the basketball field for the different fun games such as runaway thieves, seed mosaic, painting totem poles, making posters and making rickshaws. The next morning we had a BGCC trek in the Bhatiyari Golf Club. Climbing steep-sided hills was the hardest thing I have ever done in my life. From the top of the hills, about a hundred delegates appeared to be ants marching simultaneously. In the evening we had Timothy Mann's Space show scheduled. As a performer, Timothy is a member of arts company Nose2Nose, and very well known for his multi-character comedy-drama creation 'space', which is currently touring schools and festivals around the world. He has also been to Dhaka for staging one of his greatest acts. The evening was trailed by a barbeque dinner and live concert by the students of our school. The last day of the conference was named the “Red T-shirt” day. We had to wear red tee shirt in order to make the official RS logo and take a picture. It was a very different experience for us. Quite clearly, this entire experience, where students learned to organise such an important event from the scratch, was very overwhelming.